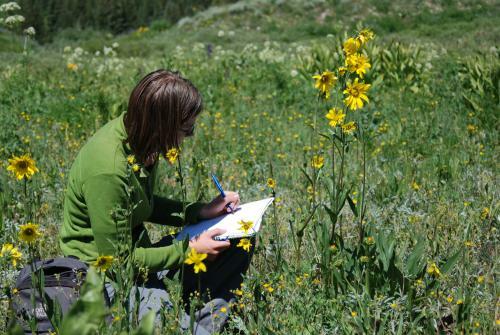 The USA-NPN's phenology observation program, Nature's Notebook, is a nationwide effort to collect and distribute data on the timing of plant and animal life cycle events. We went live with plant phenology monitoring in March of 2009, with over 200 species of plants. We added 60 species of animals to the program in March of 2010. Over 100 experts, including researchers, managers, and educators, have reviewed our monitoring program throughout its development. We are also actively collaborating with many existing monitoring programs, such as the Cornell Lab of Ornithology, Frogwatch USA, and Journey North. Our plant phenology program is made possible through partnerships with the U.S. Geological Survey and the University of Wisconsin - Milwaukee. Our animal phenology program is made possible through partnerships with The Wildlife Society, U.S. Geological Survey and U.S. Fish and Wildlife Service. If you would like more information on our program, please contact us at nco@usanpn.org or explore background resources and documentation on the development of species lists and protocols for animals or plants. Thanks for your interest & participation!